Reduce your trips to the pump! 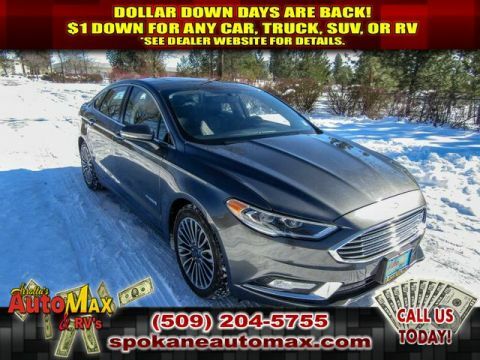 This 2017 FORD FUSION HYBRID SE 2.0L FRONT WHEEL DRIVE SEDAN is one of the most fuel efficient vehicles in its class. This mid-size car has a track record of being very tough and durable. It will have plenty of room to safely transport your kids to the next ballgame or family outing. The speed and passing capabilities of this 2017 Ford Fusion will impress. It will stick to the ground on the sharpest of turns. With exceptional handling, you will enjoy every curve of your favorite roads. This model is an amazing performer and is sure to turn heads where you go. The Fusion is roomy and has a smooth ride. It is fully loaded with all equipment options. This unit has amazing acceleration and passing capabilities. Enjoy your driving more! This is one of the most exciting vehicles to drive in its class. 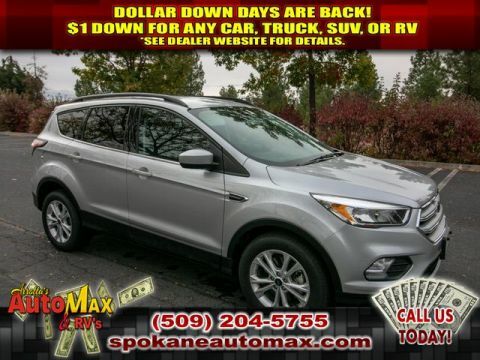 This mid-size car has dependability you can trust. When it comes to any auto purchase, there is nothing more important than safety. the Fusion will protect you and your passengers with innovative safety features. The vehicle has the durability you can depend on as the miles tick away. 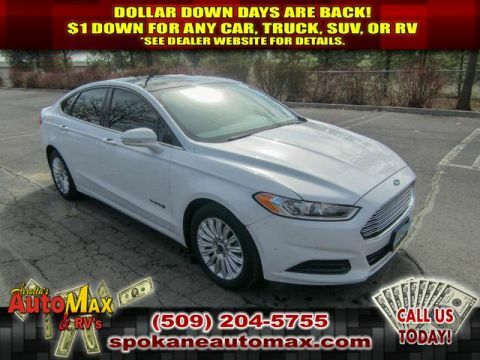 This Ford Fusion is a versatile vehicle. This unit handles exceptionally well in the snow and ice. The Fusion has a 2.0 liter 4 Cylinder Engine high output engine. The high-efficiency automatic transmission shifts smoothly and allows you to relax while driving. The Fusion is front wheel drive. Save gas and help the environment with the gas/electric hybrid drive system on it. 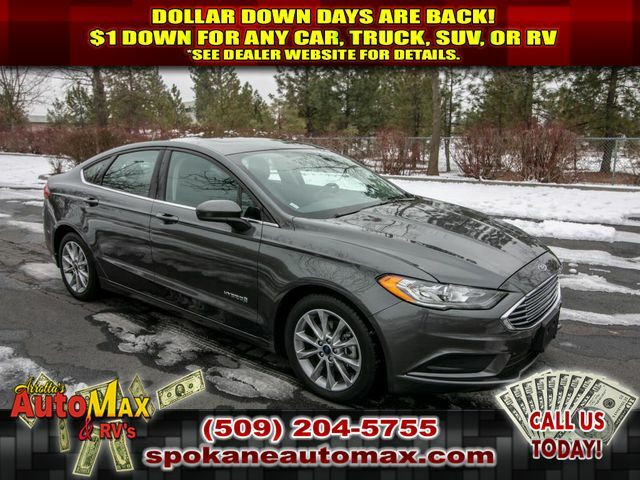 This Ford Fusion projects refinement with a racy metallic gray exterior. Anti-lock brakes will help you stop in an emergency. The vehicle has air conditioning that feels like a walk-in refrigerator. The vehicle has an aux input for mp3 players. See what's behind you with the backup camera on this 2017 Ford Fusion. Easily set your speed in the vehicle with a state of the art cruise control system. Increase or decrease velocity with the touch of a button. The fog lights cut through the weather so you can see what's ahead. This vehicle has front airbags that will protect you and your passenger in the event of an accident. Stay safe with additional front side curtain airbags. Bluetooth technology is built into this Ford Fusion, keeping your hands on the steering wheel and your focus on the road. Enjoy the heated seats in this unit you will never buy a vehicle without them. Everyone loves the comfort of having a warm seat on those cold winter days. With the keyless entry system on the Fusion, you can pop the trunk without dropping your bags from the store. The leather seats are soft and supportive on this mid-size car. A moon roof lets more light into this unit and makes the interior feel more spacious. You'll never again be lost in a crowded city or a country region with the navigation system on this mid-size car. The vehicle comes with power adjustable seat to get your seat just right for you. Power seats are a must! Power windows are a must have modern convenience. This vehicle has a premium sound system installed. Nothing dresses up a vehicle better than a set of high-end premium wheels. This 2017 Ford Fusion looks aggressive with a streamlined rear spoiler. The vehicle has satellite radio capabilities. The vehicle is built for driving comfort with a telescoping wheel. Keep yourself cool in the summer with the premium quality tinted windows. 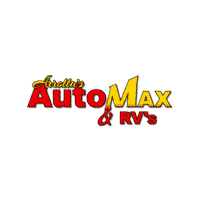 This model comes standard with a state of the art traction control system. This vehicle is equipped with the latest generation of XM/Sirius Radio. This unit is a rare vehicle and is hard to find.